I have a bit of nostalgic love for the humble American Pale ale. I can only assume this sentiment is shared by a large number of craft beer drinkers that came of age during the beginning of the craft beer explosion we’re currently in the midst of. Experiencing the relative extremity of a beer like Sierra Nevada pale ale for the first time was somewhat shocking and admittedly, not instantly pleasurable. To my inexperienced palate, the beer was extremely bitter and intense, something radically different from the adjunct-laden lagers I cut my consumption teeth on. It took some time to acclimate, but since those early experiences with SNPA, I’ve rarely looked back. Revisiting SNPA today makes me realize just how much my palate has changed. The transition my drinking habits have made towards bigger and bolder closely aligns with the shifts that we’ve seen within the APA category. 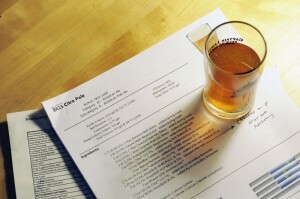 SNPA would now barely register as a pale ale compared to the highly alcoholic hop bombs that are the most popular examples of the style today. 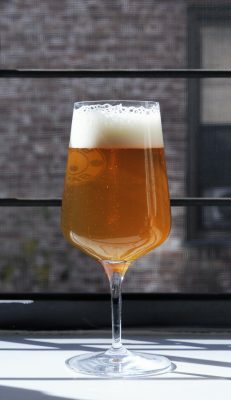 My goal with this recipe is to capture the intense tropical and citrusy hop flavor and aromatics that today’s most popular APAs possess (Zombiedust comes to mind) while pairing down the alcohol to be more in-line with something like SNPA. 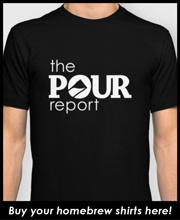 Size: 4.0 gal – My goal is to net 2.75 gallons into the fermenter after hop-related and equipment losses. Bitterness: 4.5 IBU – Note, my software doesn’t take into account isomerization during the whirlpool where I am getting the majority of my bitterness. 3 oz Amarillo® (8.5% AA) – Hop back. Unfortunately, my hop back broke during the brew day. In lieu of the hop back addition, I ended up adding the hop back hops to my kettle with 5 minutes left in the whirlpool. 1. Chill to 60°F and let rise to 64°F. Hold until activity begins to slow. 2. Raise temp to 70°F until all activity is complete. 4. Crash to 32°F 2 days then package.